West Yorkshire-based Northern Powerhouse Developments (NPD), has opened its latest property Caer Rhun Hall, a three-storey, late-Victorian mansion with a private house atmosphere. The Grade II-listed building was acquired two years ago and has undergone an extensive, multi-million pound refurbishment, creating 32 bedrooms in exclusive surroundings. The hotel will add further rooms in the grounds, growing to 80 by the end of 2019. 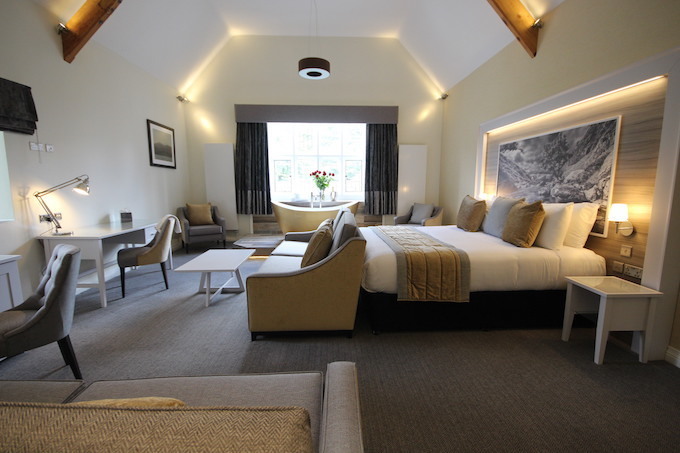 Richard Lewis, CEO NPD Hotels, said: “Caer Rhun Hall is a magnificent property in a wonderful location in the heart of the Conwy Valley, bordering Snowdonia National Park. In May, NPD announced the acquisition of Grade II-listed Monk Fryston Hotel near Selby, boosting its portfolio of Yorkshire properties which also includes the Imperial Crown Hotel in Halifax, the Old Golf House Hotel in Huddersfield, Scarborough’s Esplanade Hotel and The Gilsland Hotel Spa bordering on Cumbria and Northumberland.